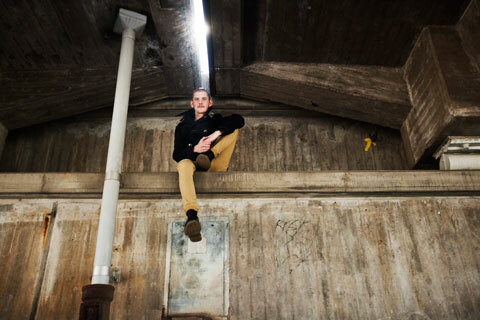 Ever since it was founded twelve years ago, Swedish denim brand Nudie Jeans Co. has had a strong focus on sustainability and responsibility, but in 2006 they made a public commitment to, in the near future, have the entire denim line be 100% organic. Impressively, the company was able to reach that goal this year, right on target. 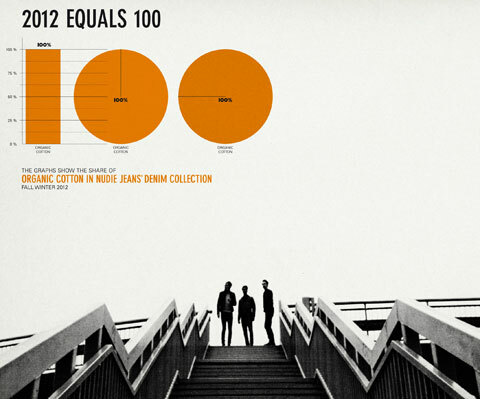 In 2012, Nudie Jeans reached the goal of making the entire denim line 100% organic. 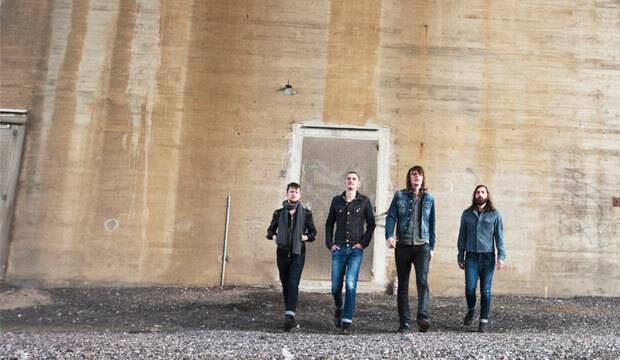 Ever since the brand launched, Nudie Jeans Co. with the hip denim-wearing crowd. 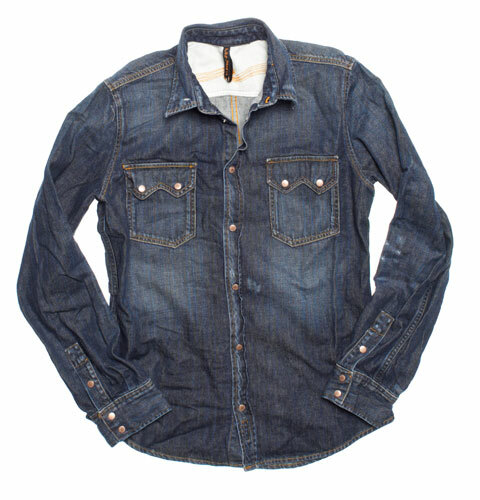 Nudie’s denim fabrics are made in Turkey, while the production takes place mostly in Italy. Overall, more than 90% of the entire collection is made in Europe, which is unusual compared to other brands. 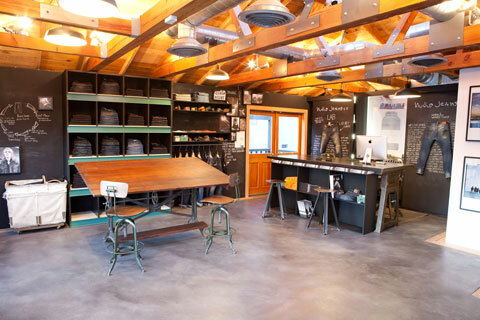 The brand also runs a popular repair and reuse program where customers can bring in their Nudie jeans to the brand’s stores to either have them fixed (for free) or trade an old pair in for a discount on a new pair. Pushing things further, the Nudie’s Post-Recycle Dry program was an experiment in fiber recycling. Old pairs were in essence melted down to a pulp and mixed with organic virgin cotton (which was needed to hold the fibers together) and made into a limited edition collection of 500 pairs of jeans. The program is on hold until a more systematic way to take back old jeans has been developed. Currently, the selection is too random and much more would be needed in order to scale up and make it profitable. “But at least we know it’s possible,” says Lang. She does promise that we have more developments in the area of denim recycling to look forward to. Nudie also encourages customers to wash their jeans (primarily the dry line) as little as possible. 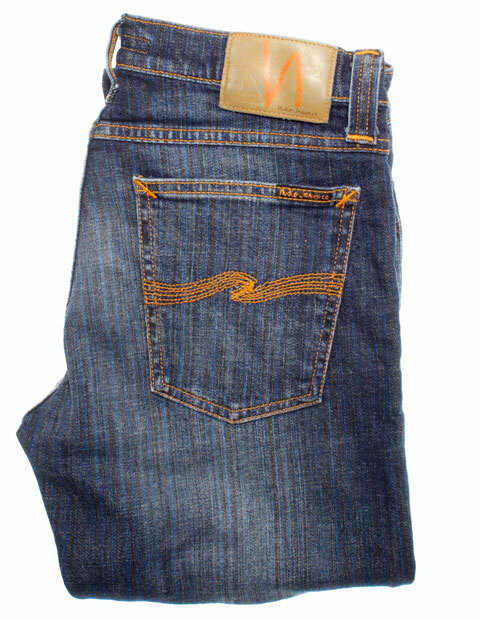 This gives the jeans each their own personal style, shaped after your lifestyle. On the website, there is quite an interesting gallery of what a pair of Nudie jeans look like after being worn without washing for up to five years. Even though the brand markets exclusively to males, many women wear the unisex styles. Lang says she is starting to get more questions from customers regarding the process and thinks they have attracted new customers who really care about the organic message. She is also, however, quick to point out that Nudie does not want to be portrayed as an eco brand. “It’s important for us to be a jeans brand that does organic,” she says. “Customers really don’t have a choice anymore, they buy our jeans because they like them but they also just get the organic, whether they care or not.” Whatever the reason “eco” has come to be a negative in the fashion business, brands like Nudie have the power to change that. 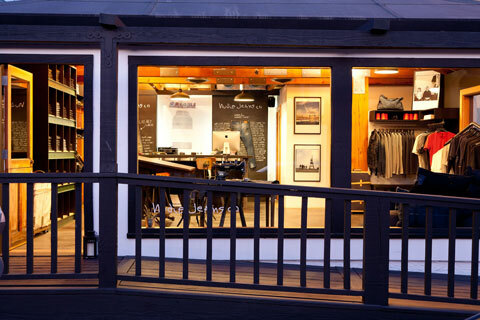 Nudie Jeans House in Los Angeles is a shop/showroom, and the brand’s U.S. flagship store. 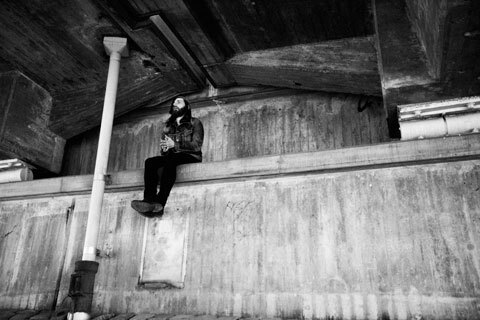 Nudie’s design inspiration comes very much from the near society: Gothenburg, the sea, the archipelago, Sweden’s West Coast, the industrial environment, blue collar mentality, old harbor, local environment, music scene, and so on. 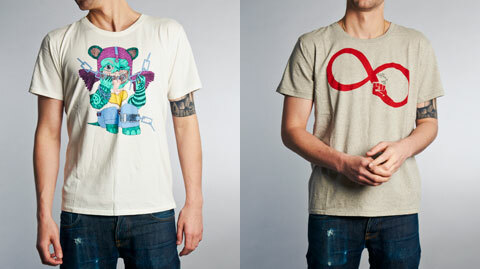 The brand recently held a design contest in collaboration with Amnesty International, on the theme of Empowerment. Ten winners were chosen to have their designs printed on Nudie T-shirts, and ten Euros per shirt will go straight to Amnesty, supporting the organizations work for human rights around the world. 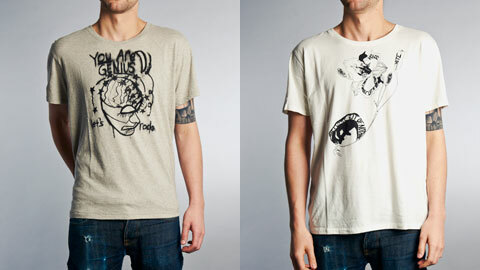 Nudie recently collaborated with Amnesty International on a line of tees on the theme of empowerment. Doing things right can take some time, but the most important first step is to set goals and intentions. Nudie Jeans Co. does this really well and this, I believe, gives them the power to inspire change throughout the industry.